Don't you hate having the same old bath tub that were "the crazy" back in the 80's and 90's. 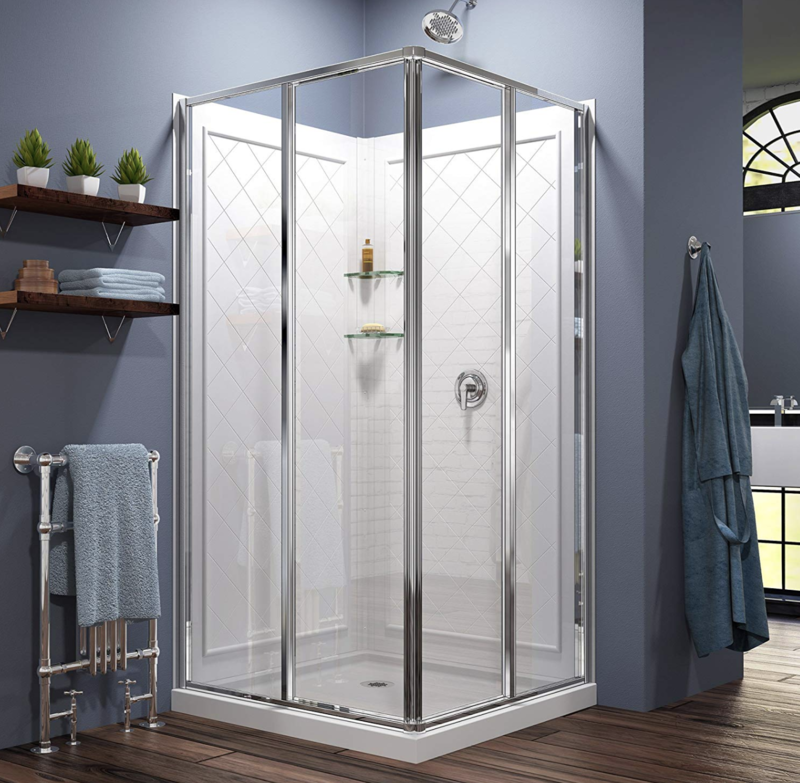 Today is 2019 and there's a new kid on the block that will taking a shower as easy as opening a door and walking through (literally). 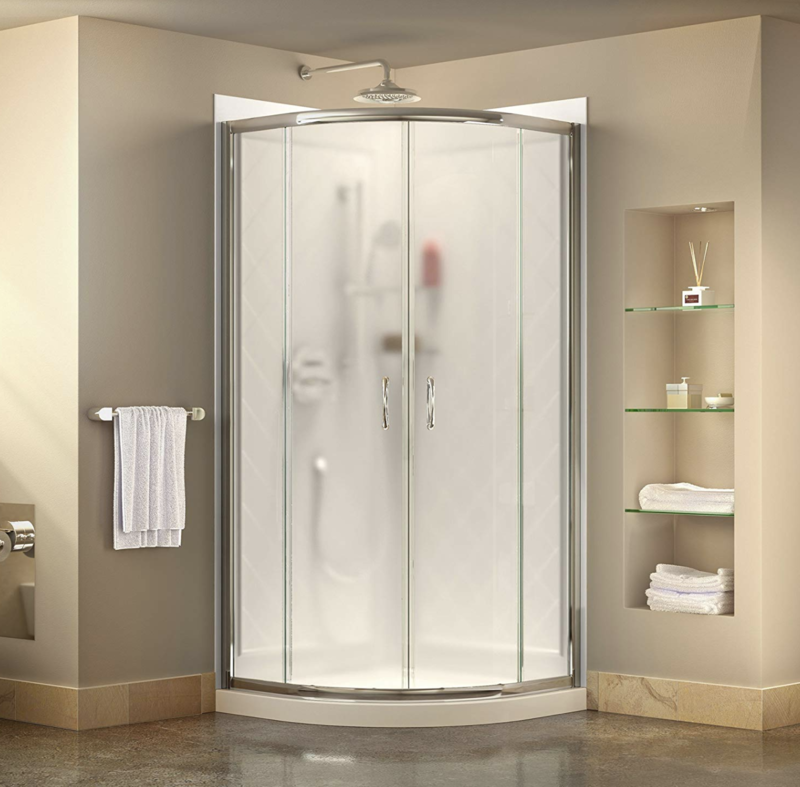 I'm talking about stand up shower enclosures! The PAIN I had like it was yesterday, getting in and out of the bath tub (needing to raise my legs every time). Let's not forget the limited space you have in a typical sized bath tub. One day, I stayed a night in a $250 hotel and it had one of these "sliding door" enclosures. The beautiful design set me back with amazement. Also the EXTRA space I had to clean myself and take a few steps in any direction was very nice. You better believe I ended up buying one. At the end, I'll let you know. 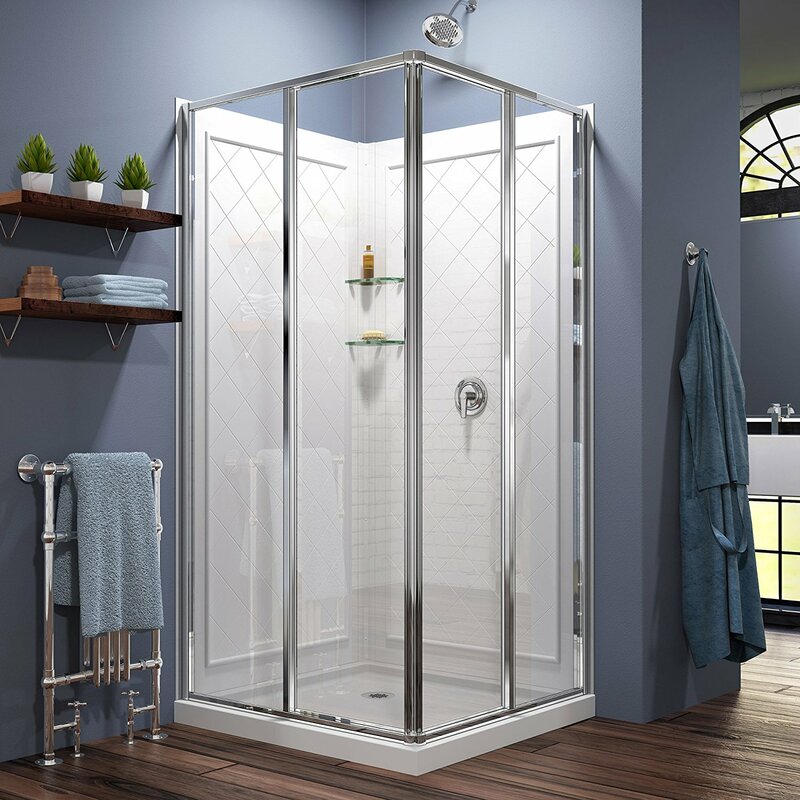 But in the mean time, I've put together a comprehensive guide for picking the best stand up shower enclosure kits that are currently available. There's a comprehensive chart shown below with the top 5 and then all detailed reviews of each stand up shower kit i've come across. Now that you had a chance to view the chart shown above, I'd like to continue reading further. There's a list of 7 BEST shower stall kits that are bound to make your shower experience GREAT and the look of your bathroom POP. With all that being said, there's a few important things I'd like for you to keep in mind. What you read below, please use it as a reference point. As much as one source can claim to be a "GO-TO" resource for something... nothing beats having proper research done across multiple website and sources. As you read the shower enclosure reviews, you'll see brief overviews, along with pro's and con's for each. Everything is ordered from most recommended to least, so go ahead and enjoy! You gotta hand it to them, they make some good looking shower enclosure kits. This one in particular, is the DreamLine Prime 36" stand up stall and its one of the best I could find. Just look at this one, beautiful glass with stainless steel frame and sliding doors. For any kind of corner you have in your bathroom, this one would go there perfectly. When I analyzed the installation process and how many pieces this actually came in, it turned out to be a fairly easy process from A through Z. Being that this one is 36" wide and also 36" deep, it gives you even space on all sides. The acrylic back-wall pattern matches everything perfectly, in addition to holes specifically drilled to ensure you can install a shower valve, handheld shower slider bar, and multiple accessory holders which are located in the center corner of the entire shower kit. Getting in and out of the enclosure is just like walking into any building. Simply slide the doors in and out at the same time, and you are IN (or OUT). The design does not cover the top , but everything else in this kit will ensure you are sealed off from the outside (no water spillage). Beautiful constructions made from glass and stainless steel. Easy to open and close sliding doors. Gives you 2x more room to move around compared to standard tubs. Includes 2 glass shelves which I mentioned earlier, mount into the center corner of this kit. Price is steep at a bit over 1,200 dollars. Can be tough to seal off due to the curved glass enclosure design. Coming in as a very close second is also a stall made by DreamLine. They are truly rocking the market with their products, and people seem to love them! This is the DreamLine DL-6150-01 stand up shower kit, unlike the one above I mentioned which is curved... this one is square in shape with even sized sides on all corners. My first impressive of this kit was that I liked it a bit more than what curved units looked like. A combination of white colored acrylic material, glass sliding doors, and stainless steel frame all-around make it seem like it will fit to ANY kind of corner. Constructing the whole thing does not take much effort, simply instructions show you which parts go together (as expected). While there are few parts that come together, all these parts are quite big as you have the width/depth of around 36" inches and height of 76.75" inches. 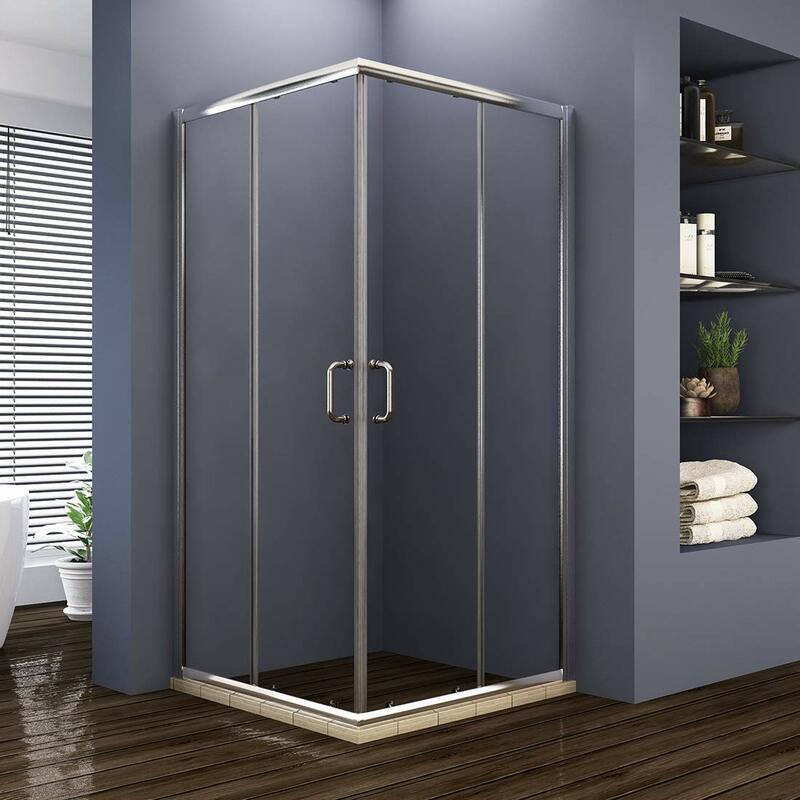 While the sliding doors don't have handles for sliding back and fourth, they DO meet at the corner of the stall (on the outside) which let you push them in and out using their metal frame. Overall, for the price of around $1,175 you get the whole setup which is fairly priced when you install it properly. *Make sure you install the sliding doors properly (stickers on the doors should be at the bottom). Excellent construction from materials that are actually durable (stainless steel for example). Create much more room, especially with even length sides on all four corners. Perfect unit for small spaces. You need to be cautious as to how you install the doors on, this can be confusing. Doors can sometimes not close together evenly from top to bottom, a small gap can sometimes be seen at the bottom or top. Looking at this corner stand up shower, you'd think it looks very similar (if not identical) to the #1. I'd say the DreamLine DL-6702-01FR is mostly the same EXCEPT for the glass. The difference you get here is instead of 100% transparent glass, there's foggy glass for privacy when bathing. While not 100% fogged up to where you can't see anything, it looks to be at least 50%. 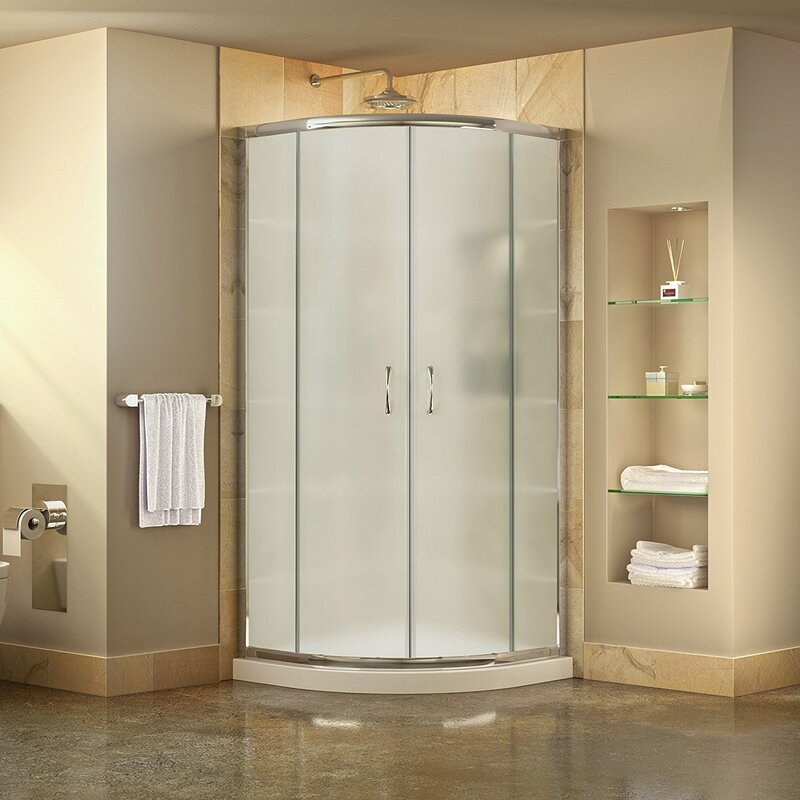 Being a curved corner unit, this shower enclosure comes together nicely with few pieces. These piece while being big, can be assembled at home without professional help with just a few hours dedicated. Just like most other DreamLine products, the price is on the high side. For something that you'll be using for YEARS upon YEARS, just over one thousand dollars does not seem to be that steep. Based on the reviews people have left, it's a worthy product based on build material, looks, functionality, and price. I think you'll find this enclosure kit useful IF in your home, there's people who like to shower by themselves and need privacy just in case. This can be anyone, you, family, friends, guests and so on. Before closing with this review, there's a few different colors you can choose your BASE to be: chrome, biscuit, black and white. Foggy glass makes it an excellent choice for ones who need more privacy. There's multiple dimensions from 33" inches, 36" inches, and 38" inches. Scratch and stain resistant acrylic. None that could be found, but maybe the price is too steep for some. Let's go back to square shower kits, specifically ones that are VERY minimalistic in nature. What we've seen so far are ones that have the acrylic panels on half of the kits. What we are seeing here with the VIGO Monteray is quite different to an extent. I looked at this unit and thought to myself: "what an elegant design, minimalistic as it can get". Then I thought, maybe its prone to breaking because of the design? Before I got an answer to the last question, you should know what makes it WORTH getting. 95%+ of this entire kit is made of glass. Since these are just two GIANT glass walls being mounted into an L shape into a corner.... there would typically be less time required for installation. Yes there is an acrylic base which acts like a tub to keep water at bay. All mounting points are glued to the glass, such as the door handle, hinges, and wall mounting points. To ensure the sturdiness of this entire kit, there's two 1.5 foot long metal rods which are holding multiple points of the enclosure. While this may not look as appealing as without them, they DO this for a reason. Bottom line is for minimalistic setups, this shower enclosure is for you. Gotta love the minimalistic design of the whole thing, as a kit it is different from many others. Metal trim comes in two color choices: chrome and nickel. For a minimalistic design with less parts, it's still around 1000 dollars. Similar to our number 4 but different in one aspect (i'll get into that shortly). This is the Aston SEN991-CH-34-10, a complex sounding name but with a simple design. This made it on my list because the shape this shower enclosure kit takes is slightly different. Aston has taken a minimal design with this one, giving you about 95% glass and the remaining parts being made of stainless steel metal (rustproof by the way). These metal parts can be in different colors, depending on the color scheme of your bathroom. There's chrome, oil-rubbed bronze and plain stainless steel colors to choose from. Based on how much of actual metal is visible, I don't think choosing a color will make that big of a difference. 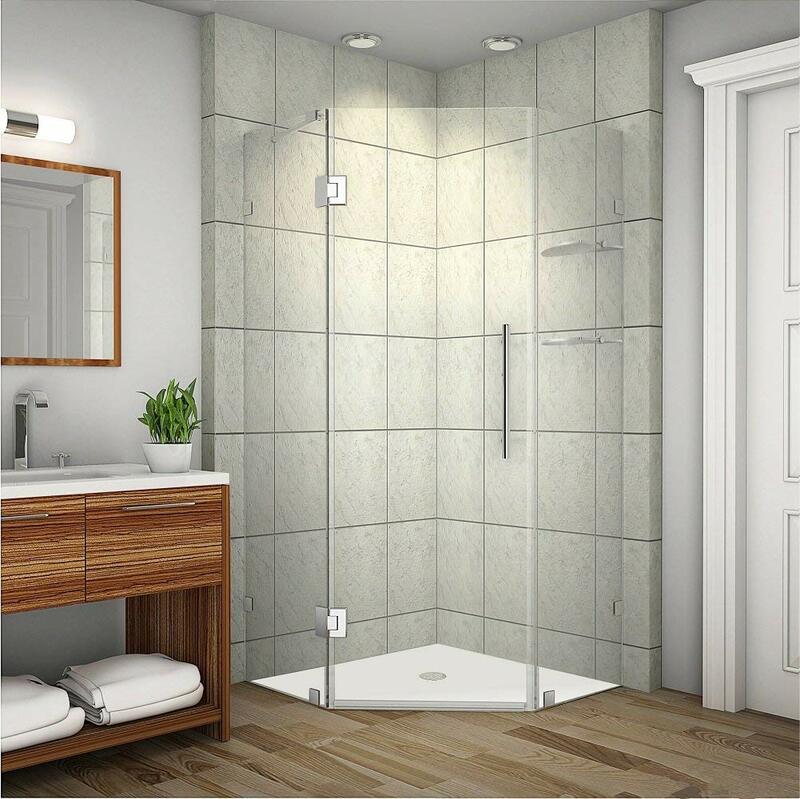 A base does not come included with this kit, just simple metal mounting brackets and glass shelves that are mounted into any corner of that shower. There's many different sizes to choose from, ranging from 32" x 30" x 72" to 48" x 38" x 72". When you look into the 34" x 34" x 72" sized frameless kit, the layout is different looking. The door is in the center, with even length glass panels on left and right sides. Being a frameless set, there's metal rods holding up certain sides to ensure the entire thing is sturdy. 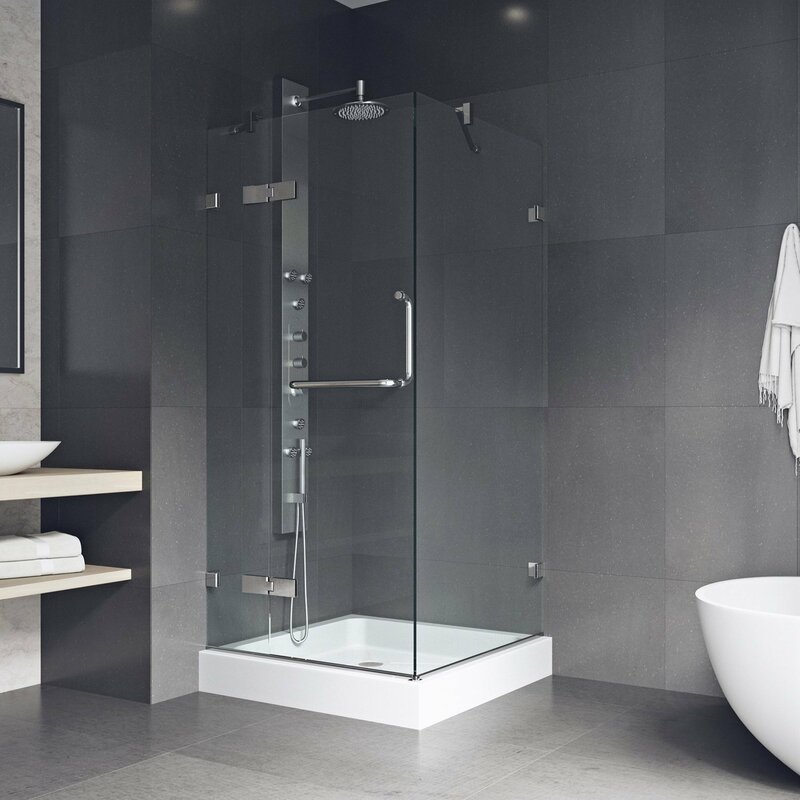 The bottom line here is, if you have a base already set up in your bathroom and it matches the sizes provided by Aston, consider getting one of their frameless kits. Frameless design is sure to be a HIT with many, especially if your bathroom is well laid out. There's more than a dozen different sizes you can choose from. You have three different colors to choose from with the metal parts of this kit. Fairly easy installation and reasonable cost. Does not include a base pan. If you haven't noticed already about DreamLine, they keep coming back. 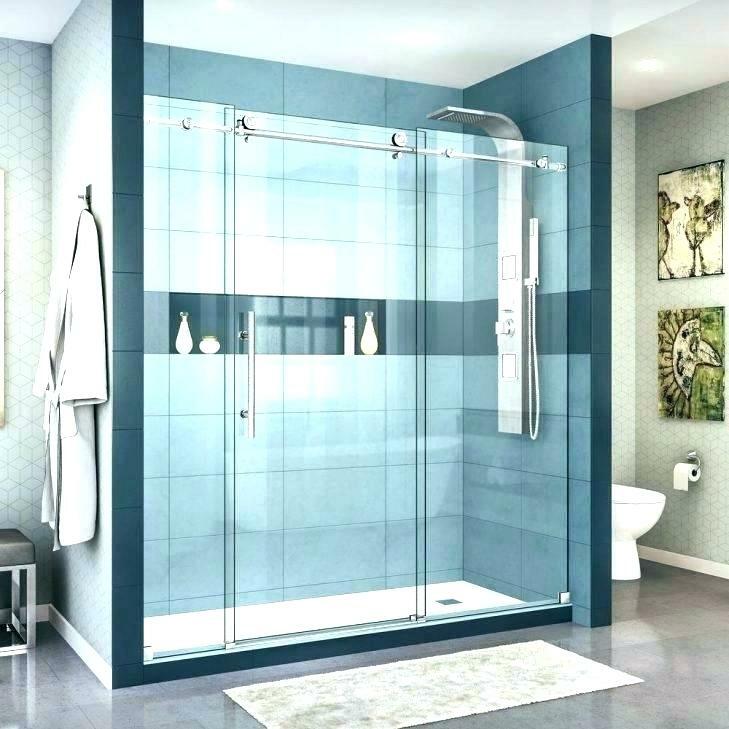 The number 6 on this list is the DreamLine Flex 28-32" inch shower stall. This one is unique because there is only ONE side to the entire thing. You need to have an area in your bathroom that is already looking like an enclosure with just one opening that lets you get in and out. Before you get any further, just know that if you don' meet the criteria above... its pointless for you to get this kit. I'd say this is mostly a shower door instead of an enclosure, but because when you install it becomes an enclosure... I'll classify it as such. I don't know your scenario, maybe this is what you're looking for. This door does come with a base pan which lets you mount the door directly to one of its sides. When properly sealed off, you can expect water to hardly ever escape the enclosure. The only customizable things about this one from DreamLine, is the different sizes you can get the base pan and door. Your options are: 28-32" inches x 72" inches high to 32-36" inches x 72" inches high. For just over 400 dollars, the price seems to be in the right place. Coming last on my list is the Elegant Showers semi-complete corner stand up kit. This thing made it on the list because its quite affordable by comparison to many others. There's something about it that makes them charge so much less and that's what I want to find out. peaking of the doors, they are easy to slide back and fourth, with magnetic strips to help keep both doors closed shut. I can't stress enough that you need to have your base pan already figured out and matches thing size of this shower enclosure. Once you have that part taken care of, you can complete the installation and enjoy the fruits of your labor. This unit is easy to install. Nice rustproof stainless steel frame which holds all components together. Easy to slide doors which include magnets to keep them shut and water sealed off. Good bang for the buck, less than 400 dollars makes it a worth while semi-complete enclosure.